I can't wait to get back in the studio and get started on my Spring line! I'm so inspired by vintage jewlery, hymns, crosses, florals and so much more! I can hardly sleep for all the ideas in my head! I have many custom pieces coming up too - be on the lookout! 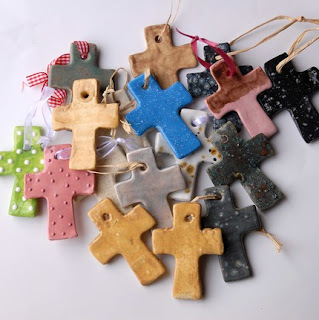 I'll be taking these crosses from Shepherds Haven and making necklaces and wall art. I'm also doing vintage assemblage necklaces - I finished my first one and took it for a test drive - in 4 hours I got more compliments than on any other piece - I can't wait to show it to you! 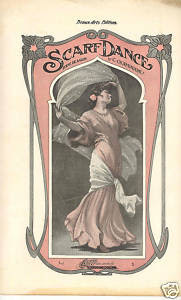 On the home decor side I'm inspired by vintage sheet music - the more romantic the better! I'll be unvieling several new pieces in time for Valentine's day! I'm also designing some memory boxes from wooden boxes, cigar boxes and other "found" objects - These should be ready soon, but definately in time for Mother's Day - many will even have Mothers-themed hymns on them! · Wooden boxes, crates, etc. 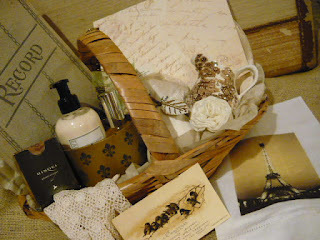 · Old paper, sheet music, notes, reciepts, broken spine books, aged and waterspotted even better! · Just about anything - just ask! Limits: up to $2.00 off minimum purchase of $10.00, up to $5.00 off minimum purchase of $25.00, up to $10.00 off minimum purchase of $40.00 or more. May not be combined with any other offer. I'm a Christmas baby - I used to think that the whole world celebrated my birthday and Jesus' at the same time! My B-day is actually today, December 26th. I'm 35 - and I wouldn't trade it for 15 or even 25! I know myself so much better, how strong I am, how creative and competent in my own talents. I've stopped trying to be perfect, trying to be right, trying to fit in and trying to petend that I had already achieved the previous. I've learned to appreciate my flaws, learn from every mistake, embrace that which makes me unique and to just be honest. With myself first and then with others! I'm so happy that I have a man by my side who had guided much of this "self-awareness". I'm thankful for the Grace of a Saviour who loves me enough to let me wander and always welcomes me home. 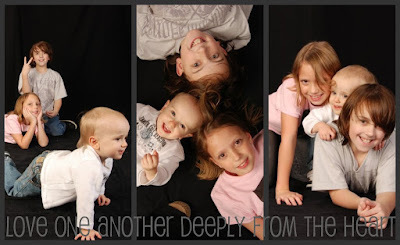 I'm blessed by 4 children, 3 of whom I have the honor of caring for every day. I've entrusted the other into the competent hands of my Father and am very much looking forwad to the day when we are all together again. I'm surrounded by loving friends and family who go out of their way to wish me birthday blessings and are always such a blessing just to be around. They have been God's arms extended to me. I know that the best is yet to come! 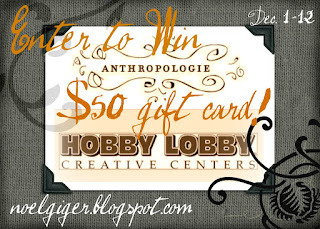 A giveaway not to miss! 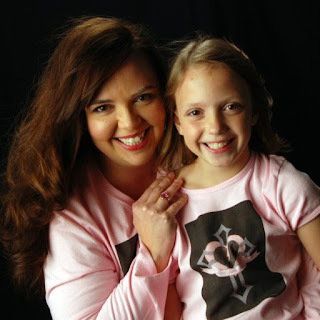 Sassafrass Stuff is celebrating her 100th post with an incredible gift basket! Vintage Home is having a big party - hurry you can get in on the last days! That's all - good luck! [ReDeemed] Christmas Link Party-Tutorial-Show off! 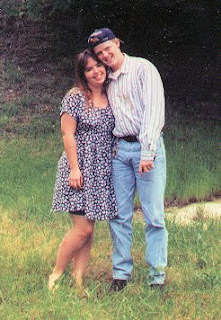 The biggest gift I've ever given...well, my first child arrived on Christmas Eve 1998, but I'm not really counting that! We gift wrapped the doors - I told you it was the biggest present! 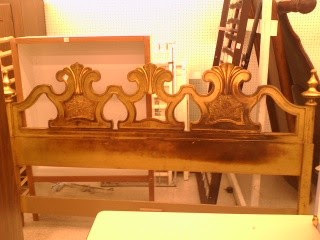 I took the bed apart, discarded the back, then spray-painted it gold to match the king-sized headboard. Next I upholstered the end pieces, starting with a double layer of batting to camoflauge the iron railings. I handstiched the batting in place to prevent bunching. Next, I used the vintage gold upholstry fabric and sewed covers with my machine, placed them over the batting, then handstiched each end closed. The vintage headboard was missing one of it's inserts, so I made a third one with cardboard, padded all three with batting and upholstered them with the matching fabric, finishing them off with a rhinestone button too! chair with new desk from Walmart (eek - we ran out of time, I really wanted a vintage dresser set with a great round mirror, but couldn't find one that was affordable! ), we omitted one shelf of the "baker's rack" top and inserted beautiful vintage mirror. Here's to your [ReDeemed] Christmas projects! I would love to see them! What did you recycle? What did you repurpose? How about a link party? Hobby Lobby will begin selling online on January 1st - I think that my life just got a lot easier! That's all, I just wanted to share! Look for me today on Somewhat Simple's 12 Giveaways of Christmas (day 11)! What do you wish you had done differently when you started? And to my fellow shopping budies - I know I shop predominately on price, but aesthetic appeal also lures me in. What "gets" you? What do you like mos about your favorite stores, and more importantly, what motivates you to actually purchase? You may know that I owned my own event planning business for 10 years. I closed it in 2006 after my 3rd child passed away. Well, A dear friend's daughter is getting married and I promised her mother that I would help with the wedding. (You probably remember Ashley's post during my 12 Days of Christmas series). I recently helped a client with a dinner banquet for 200 people. They wanted a lot of bang for not a lot of bucks. This is not an uncommon delimma! Hotels and banquet facilites regularly provide "standard" decorations at no charge, or at a very small fee. The problem is, well, they are "standard". They are boring. I won't go so far as to say that they are ugly, but they are definately predictable. So how do you dress your wedding reception or dinner banquet tables for $25 or less? The answer is "You have to be creative." Start by looking around - what do you have in abundance already? What is easily attainable for a good price? In many cases, the answer is right under your nose. For this client, we used ivory candles and tons of fresh rose petals. We used some things that we already had, like the gold candlesticks and candleplates, but the look can be recreated using your own collection of candlesticks and candle plates. Here's an idea - go to your local Goodwill or Salvation Army thrift store. People regularly donate brass and silver candlesticks of all varieties. Don't like brass? Spray paint them ivory or another color to match your decor theme. The key to keeping such an ecclectic decor together and looking intentional is to use the same color candles. We used ivory in many different forms, pillar, votive, ball and tapers. Look for sales at Garden Ridge, Michaels, or JoAnn's, ask for a quantity discount (it never hurts) or shop at a wholesale store. Always use unscented candles when planning for a large group - you don't want to aggrevate anyone's allergies! The fresh rose petals are a lot of work, but well worth it! I recommend that you plan for 1 dozen per table for maximum impact and coverage. Go to Sam's, Costco or the grocery store and buy roses in your desired color. If they have some that are in their "last glory" you can usually get a really good price on them. When you get them home, remove any brown or damaged petals and discard. Gently remove the petals and place in a Ziplock bag. Do not include the innermost petals that are "shriveled". For extra sparkle, spray some of the petals with Design Master glitter spray. Store the rose petals (in Ziplock bags) in the refrigerator up to 24 hours before your event. (Make sure that you remove any fresh citrus, onions or garlic before storing fresh flowers in the refrigerator, the acids can damage the flowers). When it is time to decorate, use heavy clear plastic disposable plates under your pillar candles. This not only saves you money, but it saves you clean up time - just toss them! I am a little late hopping on the Vintage Monday train started by Anything Goes Here, but I was inspired to put together another set of gift tags from my vintage Christmas card collection. Click here to download the file with vintage Christmas outdoor scenes. If you missed out on the first ones, click here to get the adorable snowpeople ones! Six in One Hand is having a birthday party giveaway - 6 things! 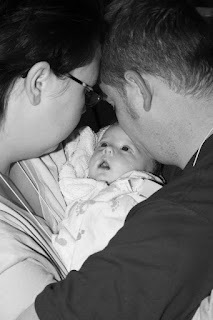 Visit her post here for the first 3, and her sister's post over at Six Divided by Two for the last 3! Thank you all for participating and following along with me for this blog series. It's been great fun and I've enjoyed reading all your comments! Today is the LAST DAY to enter! Drawing for all prizes tomorrow, December 13th! Remember you can leave a comment on each day for extra chances to win, and look at the bottom of each post for the extra entry opportunities! and a partridge in a pear tree." I feel kind of like I always do when I get to the end of this song, a little winded and glad it's over! I sure have had fun researching this song and all it's variations, sharing those with you as well as my Etsy finds and especially my blogging friends! Day 12 also brings us a reminder of the 12 points of The Apostles Creed, I have always remembered these from the Rich Mullins song, it is a personal favorite! He suffered under Pontius Pilate, was crucified, died, and was buried. He descended into hell [the grave]. I love Christmas time (and the twelve days of Christmas) because you get to spend memorable time with family. One thing that we have over at HoneyBeeBzz is kids. Between the three writers (not all of us write full time) we have 6 kids. So, in order to celebrate the Twelve Drummers Drumming, what better than to have our little drummers drumming? I also wanted to post a tutorial. Not a 12 Drummers Drumming Tutorial, but a Christmas one. Turns out, I didn’t get it finished and so instead of disappointing you, I will post a great idea for Christmas gifts! I love Picnics. When my husband and I were dating, our first Christmas together he wanted a list of things to get me. The only thing I could decide that I wanted that Christmas was a Picnic Basket. I was pleasantly surprised at the basket that he picked out. I love it! It is currently in storage, but this spring I am going to pull it out and use it with my new Picnic Roll. Here is my very own tutorial on how to make your own. First, what is a Picnic Roll you might ask? It holds all of your silverware (or plasticware) for you to easily throw into your basket and take with you. You will need to fold the towel over twice on the cut edge and iron it so that you create a clean edge just like the other three on the towel. Sew down your iron hemmed edge. Turn your towel so that your fresh sewn hem is at the bottom, closest to you. Then fold the towel up about two thirds of the way. I stuck a fork in at this part to test the height. I wanted part of the towel on top to still be able to fold down. I pinned the towel and also pinned in a ribbon into the right side so when I sewed the sides up, the ribbon was sewn in. The ribbon is used to tie your roll into a roll shape. :D Kind of like the crayon rolls everyone has brilliantly been making! Then, starting at the fold, after I had, I sewed up the two sides, and then down the middle. After the middle, I measured in between the middle and the edge and sewed up that middle on both sides. Thus, creating four pockets. This will complete your picnic roll. Simple enough. A hem stitch, and five stitches to create the pockets with the ribbon tie. Here is the picnic roll with silverware: forks and spoons. I like to fold over the top before I roll up the picnic roll. The picnic roll, all rolled up and ready to be thrown into your basket or into a lunch box. Great for a family of four, or you can fit more than one set of plasticware in each pocket. Also, for those of you who don’t have the time or don't want to sew your own, you can always find some at my Etsy shop for $7. ~*~*~*~*~*~*~*~*~*~*~*~*~*~*~*~*~*~*~*~*~*~*~Don't forget about our gift certificate giveaway - with a drawing, from ALL the comments on all the days! Post a comment (1 per day – so after you check out the next day’s blog, come back here and enter again – just like the song builds every day, so do your chances! BONUS Entry: Follow Honey Bee Bzz, then leave me a comment that you do! Leave another comment telling me your favorite post, blogger or pic! A BIG Weekend sale - Wall Art! A BIG weekend sale - BOGO Jewelry! Don't miss these great giveaways!